Ever wondered how much it would cost to rent a private jet? The answer: about €9,000 ($12,000) per hour if you're flying with VistaJet. That may sound steep, but the European-based private jet airline says it isn't having a problem attracting clients. VistaJet's founder, chairman and 100% owner, Thomas Flohr says sales are growing roughly 25% per year. Now VistaJet is expanding into the U.S., convinced that businesses and entrepreneurs will flock to its high-end service. One of VistaJet's main selling points is its plane-for-rent business model, which allows customers to pay an hourly rate for flights. That's different from most other U.S.-based private jet companies, which require flyers to buy and share an aircraft with others, or to buy an aircraft outright. Flohr said his pay-as-you-fly business means that clients do not have to assume the asset risk and maintenance costs associated with plane ownership. "Coming out of the financial crisis, people realize that an investment in an aircraft is not necessarily the right investment," Flohr told CNNMoney. "A much better solution is to [approach flying] as a service." Plus, Flohr said all VistaJet aircraft are new and offer customers a top-of-the-line flying experience. In September, VistaJet committed to locate 12 new Bombardier (BDRAF) aircraft in the U.S., directly challenging market leader NetJets. VistaJet currently has a global fleet of 41 jets. Related: Is business aviation flying high again? Forecast International aerospace analyst Ray Jaworowski agrees that VistaJet's business model is unique and gaining traction. "It takes the headache of ownership away from the client and it gives [customers] 24-hour availability," he said. VistaJet's customer base comes from all over the world - Europe, Russia, Africa, Asia and the Middle East - and the company prides itself on flying to hard-to-reach places. VistaJet doesn't fly a typical route from London to New York, but instead focuses on flying to far-flung locales like Ulaanbaatar in Mongolia. "It's really a business tool," said Flohr. "We see it as a time machine. You can [save] so much time because, commercially, some of these locations you cannot reach in a very efficient way. Executives can hop on these airplanes, go to four or five locations in a very short period of time, and then come back to headquarters." But that doesn't mean VistaJet is for everyone. Jim Hall, a successful American entrepreneur and executive director at Oxford University's Entrepreneurship Centre, said he has taken many private flights, but has never flown with VistaJet because the prices seem too high. "I feel there's an abundance of planes on the charter market and you can shop for planes to get the right price," he said, stressing that he focuses on a plane's safety record above all else. Jaworowski agrees that every client is different. "Any specific client has their own needs. 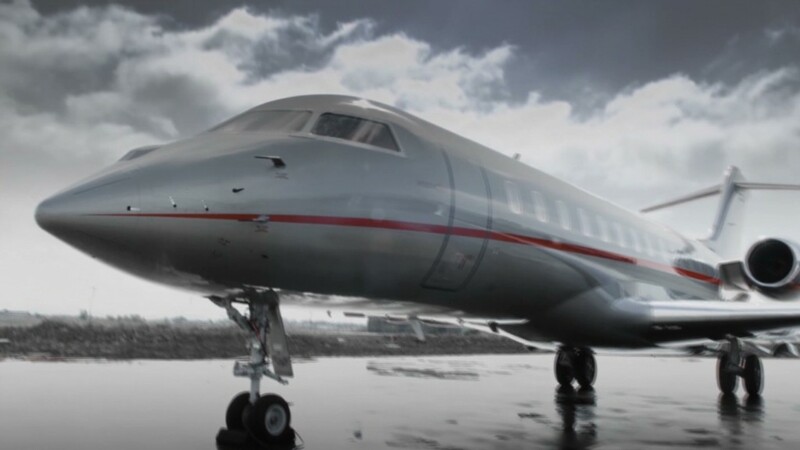 VistaJet might be a good option for some, while fractional ownership would be a better option for others."